More than 10 cars who hit a "crater" like pothole on the A82 are being encourage to make a claim against BEAR Scotland. Vehicle owners are furious after a second night of mass damage to cars on a scenic Highland trunk road. 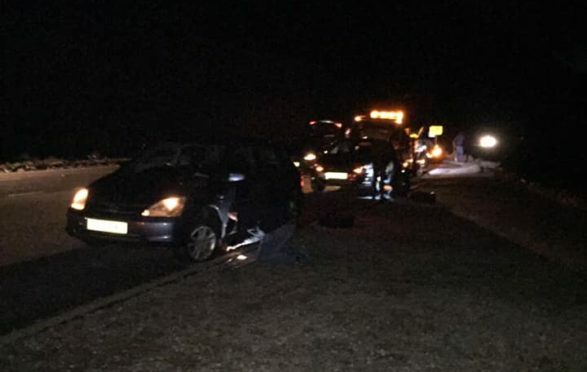 Reports of up to a dozen cars being damaged on the A82, some three miles south of Glencoe, with £1000s-worth of damage to vehicles hitting pot holes on Thursday night and yesterday morning. Brian McMillan, a hospital taxi owner, said: “My car was blutered on a pothole almost as big as a bath. Enough is enough – we pay our road tax, and our fuel duty, get the road fixed. “There were a dozen cars all off the road after going into one of about ten potholes. In the UK they say you drive on the left of the road – but in the Highlands you drive on what is left of the road. Road operator Bear Scotland claims to be monitoring the situation, a spokeswoman said: “Trunk road safety is a top priority for Bear Scotland, and weekly safety inspections are carried out on all trunk roads – including the A82 – by our inspection teams to identify any defects requiring immediate attention. These ‘Category One’ defects, such as deep potholes which could present a danger, are recorded, temporarily repaired and then permanently repaired within 28 days. “Bear Scotland look after almost 932 miles of trunk road on behalf of Transport Scotland in the north west of Scotland. For 2019/2020, we have 200 surfacing schemes planned with an overall value of £20 million across the network. “Surfacing schemes are designed and prioritised to address areas most in need of repair in line with Transport Scotland’s policy for progressing road improvement programmes. Councillor Andrew Baxter said the problem was bigger than Glencoe: “The A82 took a real battering last winter when scores of cars were damaged. We are seeing the same again this year, not just in Glencoe but along its whole stretch.